AMONG the branch lines of Britain few can have been so little noticed as the Elham Valley Railway. Until quite recently, when a history was published, few books made any lengthy reference to the line and its existence seems to have been almost completely overlooked by both professional and amateur photographers. The first Elham Valley scheme for a line from Folkestone to Canterbury was authorised in 1864, but the company went bankrupt two years later. However, in 1881, taking advantage of the Railway Facilities Act of 1870, powers were granted to the Elham Valley Light Railway Company to build a line from Folkestone to Canterbury, serving the villages of Lyminge, Elham, Barham, Bishopsbourne, and Bridge. In 1884 the South Eastern Railway hurriedly absorbed the Elham Valley Company to counteract the threat from the London, Chatham & Dover Railway's plan to build a line from Kearsney to Folkestone via the Alkham Valley. 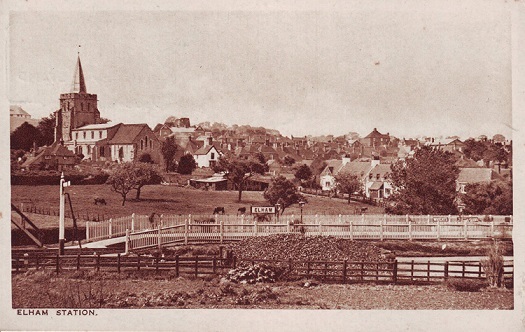 The first sod was cut on August 28, 1884, at Newington, near Folkestone, by Sir George Russell, Bart., and work began in earnest on the new line. On July 4, 1887, the Shorncliffe to Barham section was completed and opened to the public, with six trains each way on weekdays and three on Sundays. The section from Barham to Canterbury was completed two years later and on July 1, 1889, the stations at Bishopsbourne, Bridge and Canterbury South were opened. The line was double-track, 16 miles 15 chains in length and connected the main Ashford�Canterbury line at Harbledown Junction to the main Ashford�Folkestone line at Cheriton Junction. No real major engineering works existed, although. there were a number of deep cuttings and high embankments at various points along the route. Two tunnels were built, at Etchinghill (97 yards) and Bourne Park (330 yards), the latter being in a shallow cutting, solely to please the owner of Bourne Park estate whose land the line traversed. 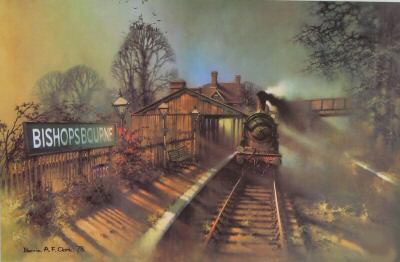 In fact, Bishopsbourne Station was also part of the bargain, the railway having no original plans for a station there. Station buildings at Lyminge, Elham and Barham were of the standard SER weather-boarded type with "dog-tooth" canopies, but because of economy measures those at Bishopsbourne, Bridge and Canterbury South were timber framed, corrugated-iron structures. Sidings were provided at all the stations as well as at Ottinge, between Lyminge and Elham, and at Wingmore, between Elham and Barham. 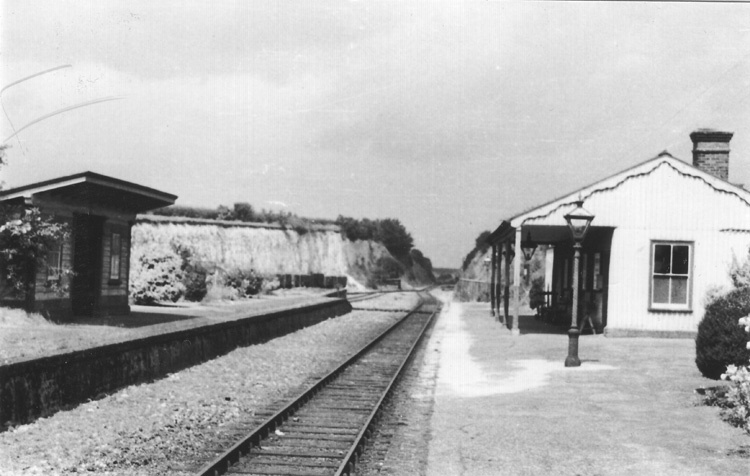 In addition, the Elham Valley Brick Company had its own private siding at North Elham and at Lyminge a cattle dock was built south of the station. Test bores at Elham and Barham in the late 1890s proved the Kent Coalfield didn't stretch that far, so the line continued its relatively quiet existence with its passenger and goods traffic. 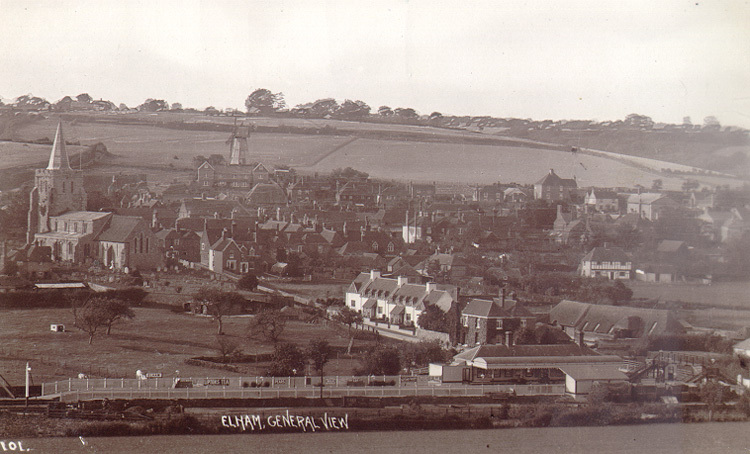 The effect the line had on the villages in the Elham Valley was significant, not only in giving the population easier access to the city of Canterbury and the fashionable seaside resort of Folkestone, but -creating a useful outlet for the growing agricultural trade. The railway gave the locals cheaper transport at Is. 4d. (6.5p), third class for the single journey from end to end : with a time of approximately 50 minutes it provided the , Folkestone�Canterbury traveller with a faster service than the present-day National bus. In its early years the trains were probably hauled by Cudworth "118" class 2-4-0 engines and it is known that Stirling's "Q" class 0-4-4 tanks worked the line for a number of years. With the introduction of Harry Wainwright's capable "H" class 0-4-4 tank engines the older classes were gradually withdrawn, having spent their last days puffing round the "Linger and Die" (this quaint nickname was applied by railwaymen to the service from Dover to Canterbury via Elham, thence to Minster and returning to Dover via Deal). A variety of engines were rostered for duty on the line, among them Stirling "Fl" and "Bl" 4-4-0s, and "0" and "Ol" 0-6-0s; Wainwright "C" 0-6-0s, "H" 0-4-4 tanks and "D 1" 4-4-0s, and in later years, even Maunsell's ill-fated "River" class 2-6-4 tanks�indeed, No. 800, River Cray, made a few trips up and down the line only weeks before being involved in the Sevenoaks disaster of 1927. 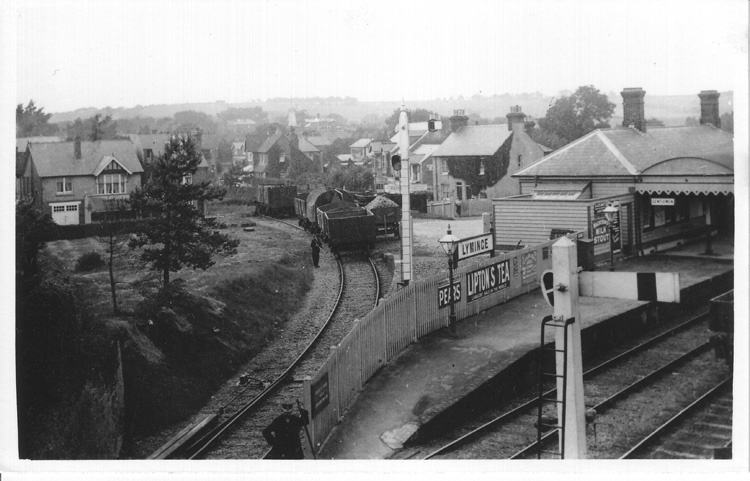 On May 1, 1908, a halt on the main line at Cheriton was opened. Used solely by Elham Valley trains, it followed the fortunes of the line. Rumour has it that tickets were issued from the halt, but so far no evidence of this has come to light. During the summer months before the first world war a railmotor was brought into service between Folkestone Junction and Elham, with two trains each way on weekday afternoons. A non-stop train between Canterbury and Folkestone ran during the month of August only and the 1914 timetable states it left Canterbury West at 11.06, arriving at Shorncliffe at 11.31�a journey time of 25 minutes! In December 1915 the main line between Dover and Folkestone was completely blocked by a serious chalk fall and because of the magnitude of the work involved the line was closed and not re-opened until the summer of 1919. 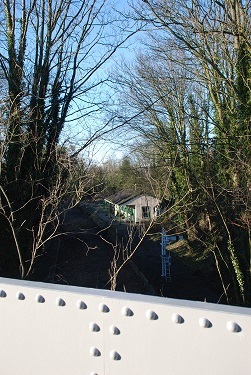 Consequently the Elham Valley line provided a very useful connection and, in addition to this extra traffic, various war-time trains made use of the branch. Special entertainment trains were re run nearly every evening for the Canadian troops based at Shorncliffe. Lord Kitchener and King George V reviewed the troops in September 1915, having arrived at Lyminge by the Royal Train. From the summer of 1919 onwards the East Kent Road Car Co. Ltd. began a scheduled service from Folkestone to Canterbury through the Elham Valley and the first clouds began to gather on the railway's horizon. Far from improving the services and heeding the needs of the village communities, after Grouping the Southern Railway Company took a positive interest in the bus undertakings and bought a 49 per cent share in the East Kent Road Car Co. Ltd. with which, in later years, it was to amalgamate. With the bus times "weighted" against the railway, the SR, it seems, was anxious to start pruning its newly-acquired inheritance and in 1930 announced plans to single the Elham Valley line. 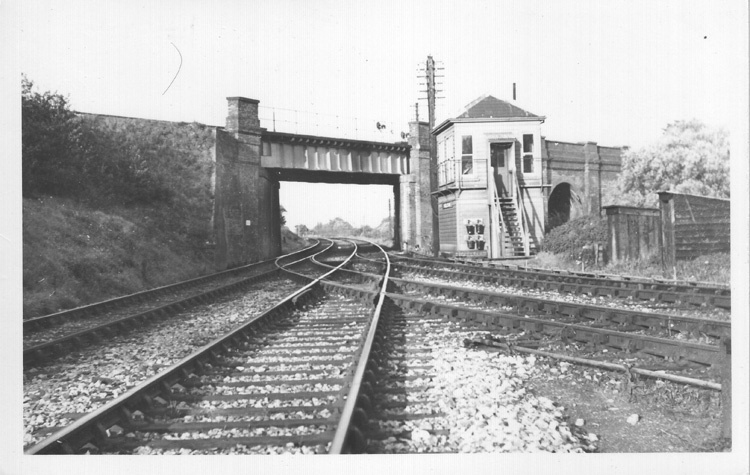 The railway between Harbledown Junction and Lyminge was duly singled in the following year and the signalboxes between Canterbury South and Elham abolished. Simultaneously Tyer's key token system was introduced on the single-track section. The iron footbridges at Elham and Barham were demolished, as were all the waiting shelters on the far' platforms, except at Lyminge. Staffing was reduced to a third of the original number and the stations at Bridge, Bishopsbourne and Barham were manned by two porter-signalmen on alternate duty. Percy Hardy, the Stationmaster at Elham, took charge of Lyminge, Barham and Bishopsbourne, the stations at Bridge and Canterbury South coming under the charge of the Stationmaster at Canterbury West. During the 'thirties the line was gradually run down by the Southern Railway, which obviously was expediting its eventual closure. In May 1937 the authorities further reduced staffing when the signalbox at Lyminge was abolished and a combined ticket office and signalbox was brought into use in the station building. Even with singling, more than 200 wagons of sheep were loaded at Lyminge in a single day in 1936. Canterbury Cricket Week, too, provided the need for many special trains, the South station being conveniently situated for the ground. In 1940 the railway was taken over by the War Department and the passenger service between Canterbury and Lyminge was withdrawn as from December 1. In January 1941 the massive 18-in. rail gun Boche Buster was brought down from Catterick Camp disguised as banana wagons and stored in Bourne Park Tunnel, which was to be its home for the next few years. Specifically introduced as an anti-invasion measure, it was capable of hurling a 1-1/4-ton shell 33,000 yards into the English Channel. Travelling down the curves of the Elham Valley line, it was able to sweep the Kent Coast by positionings at certain points along the line. It was originally propelled by two aged Great Western (WD) 0-6-0 tank engines, but these were soon replaced by diesel locomotives manned by Royal Engineers. In addition to the 18-in. gun, two 12-in. howitzers were entrenched in the sidings at Elham under heavy camouflage. Winston Churchill inspected the gun at Bishopsbourne in April 1942; and in October Mrs. Churchill and Mrs. Roosevelt visited Barham in a special train of LMS stock to observe the war efforts of the women's organisations. Goods traffic continued to run daily and special tickets were issued by the War Department for the use of the public. Headed "Elham Valley Military Railway", these tickets entitled the holder to travel on the military trains of mixed goods on the strict condition they travelled at their own risk. Occasionally the line was attacked by enemy aircraft, but no great damage was ever done. However, on October 31, 1942, a train was shot-up near Bishopsbourne, killing the driver, fireman and a boy who was travelling unofficially on the footplate. Earlier in the same year a German Dornier bomber crashed onto the railway just north of Barham Station, the four crewmen surrendering to the local Home Guard. By 1944 all the guns had been moved away and in 1945 the line was handed back to the Southern Railway. On October 7, 1946, the SR restored the passenger service between Lyminge and Folkestone. For a time, prospects looked relatively bright and with the 1946 proposals for the immediate electrification of all the Kent main lines the Elham Valley branch was to have been operated by diesel traction. However, in April 1947 the SR announced its intention to close the line completely as from June 16. Despite the controversy that raged in the valley, the SR claimed that only a dozen or so people used the trains regularly but this was challenged by the villagers who retorted that train timings were totally incompatible with local needs. Consequently, on June 13 class "Ol" 0-6-0 engine No. 1381 left Canterbury West at 1.18 p.m. with the last official goods train and the following day "H" class 0-4-4 tank No.1531 puffed out of Lyminge Station at 9 p.m. with the final passenger train. From October 1, 1947, the Southern Railway officially abandoned the branch and within a few weeks the junction at Harbledown was severed. Lifting commenced and by Christmas the contractors had reached Bishopsbourne. Two months later, in February 1948, the rails were lifted at Barham Station. For some unknown reason work ceased and it was not until the summer of 1953 that the rails were taken up at Elham, the line being stripped completely of track by 1955. Un until then the Southern Region of British Railways (which superseded the Southern Railway in 1948) had used the branch as a siding for storing wagons awaiting repairs at Ashford Works. The bridge over the River Stour was eventually demolished and Newington bridge, rebuilt during a road-widening scheme of 1932, was blown-up with considerable difficulty in 1965. Much of the land has been reclaimed for agricultural purposes and in many places the line has been adopted as an unofficial nature trail. Various other bridges have been torn down over the years, perhaps the most notorious being that known locally as the "World's Wonder" bridge between Elham and Barham, which in April 1958 resisted the attempts of the explosive experts and finally had to be demolished with the help of a local engineer and his steam traction engine, which pulled out the main girders. 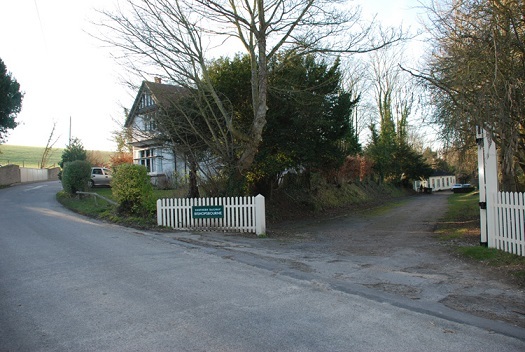 Barham Station was demolished in November 1963 to make way for a new housing estate and in July of the following year Elham Station was torn down and a bungalow built on the site. Canterbury South Station disappeared soon after, but happily Bridge and Bishopsbourne remain today as private residences. Lyminge Station is now surrounded, ironically, by a Kent County Council Highways Depot. Older villagers still talk nostalgically of the railway, while today's generation of car owners seems ignorant that a railway ever passed through their village. Sad reminders are still in evidence not only the ivy-covered bridges left spanning the overgrown track bed, but Lyminge still retains its "Station Road", Barham its "Railway Hill" and Bridge has its very own ghost of a naval officer who died -in suspicious circumstances under the wheels of a train during the first world war. The epitaph of the Elham Valley line is that of so many branches whose value could not be put in pounds, shillings and pence. A whole way of life has been swept away by the stroke of a misguided and destructive pen and with each year that passes so the memory of perhaps Kent's most glorious, yet least known, branch line fades away into oblivion. Faced with this prospect and the truly amazing lack of photographic history, I have made it my aim to compile as much as I possibly can. 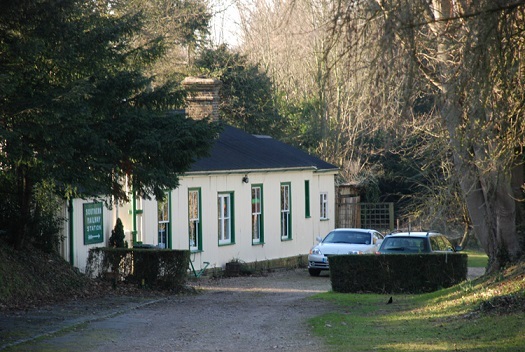 As well as photographs and postcards of the line in operation I am anxious to collect together any souvenirs�from enamel signs to tickets�in the hope that a museum solely devoted to the Elham Valley branch can one day be established. I'd be delighted to hear from anyone and I can be contacted at 25 The Drive, Uckfield, East Sussex. As this article may well sour readers to visit the abandoned line I would respectfully ask them not to intrude upon the stations at Bishopsbourne and Bridge because the inhabitants have asked me to mention their desire for privacy. Nevertheless the remains are well worth a visit, particularly the tunnel at Bourne Park, along the "nature trail" between Bishopsbourne and Kingston, and around Etchinghill, near Folkestone. Son of Mr. and Mrs. Herbert S. Brett, of 43 Ethelbert Road. Injured 31 October 1942, at Barham; died at Kent and Canterbury Hospital. The signalbox at Harbledown Junction feature in the classic wartime movie A Canterbury Tale produced and directed by Michael Powell.